"Let our knowledgeable staff share their years of experience with you and your company. CSS has been providing training for contractors for over 10 years and has developed a thorough hands-on, one day course for many surface preparation, restoration and decorative concrete products and applications." Are you interested in training and don't see a class that fits your schedule or want training immediately? 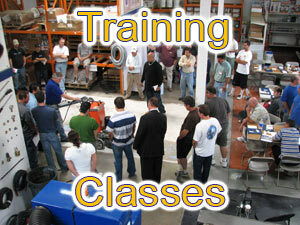 Call us and we will schedule a training session just for you!